Precision Medicine – the holy grail or ongoing refinement of good care? Precision medicine is one of the big agendas of 2018 and it is an area where we are really strong in Greater Manchester. As I have had deeper discussions with colleagues about this in recent weeks, there really does seem to be a large spectrum of views on what precision medicine really is. But what is certain is that we have some real assets in the capabilities to support increasingly personalised care for our local citizens. When I was doing surgery, one of the hardest decisions I was called upon to make was for the very elderly patient with minimally symptomatic, but severe narrowing of the aortic valve – these patients will inevitably deteriorate if you do nothing and surgery is the only option, but the procedures carry substantial risk, which goes up exponentially as people get into their late 80s and 90s. Teasing out the patient’s perspective, helping them to balance life expectancy, quality of life, risk and potential benefit of surgery to make choices is your job as a heart surgeon. Conducting the operation is easy by comparison. And in many ways this is precision medicine in action, supported by fairly crude data, risk assessment and a fair bit of experience and intuition. Better screening of patients at risk, smarter risk prediction including the use of frailty and other important factors and enhanced data driving smart decision-support algorithms will lead to greater precision in supporting patients’ decisions in this setting. But at the end of the day the choice will remain theirs and there will be a fair bit of luck involved in outcomes too. But I think this is not really precision medicine in the modern use of the word, just good clinical practice supported by advances in risk stratification and the delivery of care. So what is more cutting edge? I think it is fair to say that for precision medicine, we can start with substituting precision with ‘genomic’ and that helps us get a lot further forwards with our understanding. The accepted definition from the NHS National Institute of Health Research is that precision medicine is an emerging approach for disease treatment and prevention that takes into account individual variability in genes, environment and lifestyle for each person. But let’s stick with just the genes for a moment. Breast cancer is an interesting disease to explore to understand things better. Back in the old days there was pretty much a ‘one size fits all approach’ to treatment, with surgery being the main option. Effective precision medicine is now enabling more effective quantification of risk, prevention, screening, enhanced diagnostics, targeted treatments and better monitoring. And we are making advances across many of these areas. The national breast cancer screening programme has its critics, but it does start the precision medicine thinking (or segmentation and microsegmentation) by dividing the total population at risk of breast cancer, a disease which can affect both sexes across a huge spectrum of age, into those most at risk. Risk can be refined further based on family history and the use of genomic tests, such as the BRCA1 and 2 genes that produce proteins to repair damaged DNA and prevents the development of malignant cells. Inherited mutations in BRCA1 and 2 affect the production of these proteins and increases the risk of cancer from 12% to around 80%. A family history of breast cancer is important in determining risk, but knowledge of any BRCA1 and 2 mutation can inform decisions about preventative strategies such as enhanced screening, preventative surgery or chemoprevention. Recently researchers at the University of Manchester have identified further abnormalities in genes – a series of single nucleotide polymorphisms – which are not important in isolation, but in combination are associated with significantly higher risk of breast cancer. Using this test in studies identified some patients at high risk who did not have BRCA1 and 2 mutations and so upped their risk classification and helped to reclassify some patients into lower risk groups. This methodology is in the process of being implemented to support patients at risk of breast cancer across Greater Manchester and is a great example of progressive precision medicine in action. Our devolution of health and social care and its streamlined governance and decision making processes is significantly accelerating delivery of the novel care models, which is incredibly important, as citizens will suffer if the rapid advances in genomics are not backed by an ability of healthcare services to respond in a timely manner. Of course precision medicine is not only about breast cancer and through the Manchester Biomedical Research Centre, clinicians and academics are applying similar approaches to other specialities including rheumatology and dermatology. One area of particular interest is psoriasis where we know that most people don’t get to see the real clinical specialists very late in the disease, usually after the condition has deteriorated and become more constant over time. Psoriasis is associated with joint and cardiovascular problems, and severe symptoms are associated with terrible mental health problems. 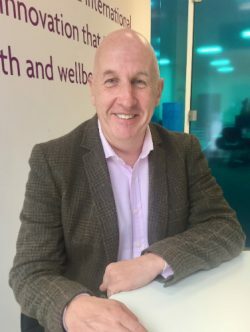 Health Innovation Manchester has funded a research project into the effective treatment of psoriasis, which is being delivered by the University of Manchester and Salford Royal Hospital. The aim is to drive early and more precise diagnosis, combined with better self-management and therapy support, to give each patient the best possible chance of managing their condition. Through a rapid access clinic, specialists can make a precise diagnosis and provide patients with appropriate treatments and self-management support to treat the condition. We recently launched the project and expect the clinic to be seeing patients in a few weeks time. This in its self does not really feel like precision medicine to me (just good medicine), but in fact by getting experts with deep interest in the condition to take a truly holistic approach we are developing more precise medicine, which promises benefits from avoiding downstream complications and their inherent human and economic cost. Also inherent in the approach is researchers collecting a number of markers from these patients, including lifestyle factors, genes and other biomarkers, to enable greater correlation between these measured factors and clinical outcome. This will enable the development of targeted treatments for specific subgroups, and novel therapies based on these markers. One of the terms finding a place in the precision medicine landscape is P4 medicine, which refers to medicine which is predictive, preventative, personalised and patient empowering. We can see from the above examples that the in-flight initiatives in Greater Manchester fulfil all of these criteria. But I have missed a critical bit of the jigsaw and that is biomarker discovery. This is an area where we are world leading in Manchester. Biomarkers are molecular clues, detectable ‘things’ in the body which can signify underlying abnormalities. As well as genes, there are a number of other proteins and lipids biomarkers and good examples are prostate specific antigen, indicating prostate cancer or elevated cardiac enzymes, enabling a precise diagnosis of a heart attack. Discovering biomarkers has previously been a highly expensive, labour intensive and time-consuming process, but the advent of technology has enabled the development of sophisticated mass spectrometers and automated chromatography instruments that facilitate discovery science. As new biomarkers are detected and validated it will further enable the segmentation of the population for precision medicine. We have really strong infrastructure in this area in Greater Manchester, and this has recently been enhanced by the announcement that Qiagen, a globally leading biomarker company, will create a genomics campus on the Manchester University Hospitals site to accelerate the delivery of precision medicine approaches into healthcare delivery. 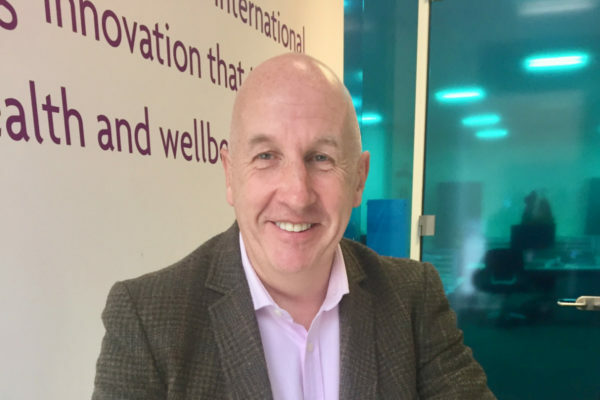 The deal was led by Health Innovation Manchester on behalf of the city, with public funding coming from Manchester City Council and the Greater Manchester Combined Authority. And of course precision medicine approaches rely on data and we are well served by our health informatics assets here in Greater Manchester. In essence, the use of technology to drive better outcomes relies on three things – systems of record, insight and engagement – and by systems of engagement we mean routing actionable insights into the workflow of people delivering care (and this includes the patient them self) which makes a difference. Precision medicine is all about enhancing the record by adding increasingly detailed biomarker, lifestyle and other data, extracting insights using routine and next generation analytical approaches and then using appropriate multi-channel approaches to ensure that the insights deliver better outcomes. And as the systems of record become richer, the insights challenges become harder, but the potential benefits are almost certainly greater.